Editor’s Note: Socalgolfblog.com will be providing weekly blog content for JC Golf and its group of courses in Southern California. Those posts will appear here and at http://www.jcgolf.com. 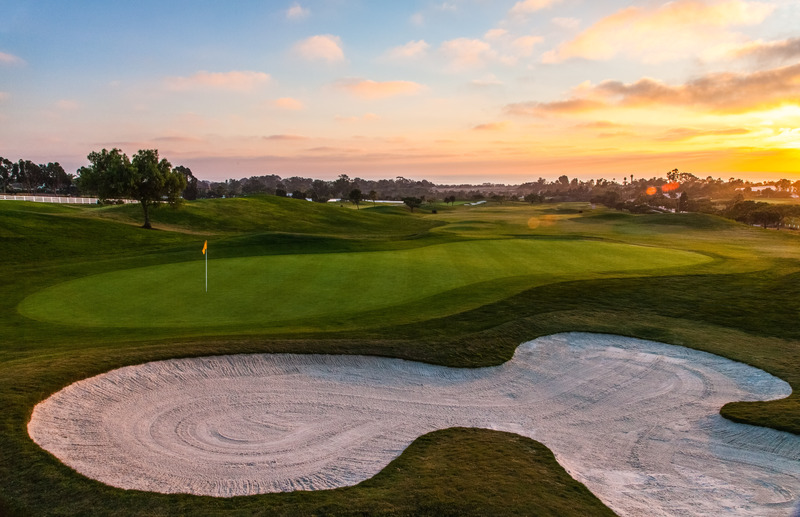 On Sept. 1, Encinitas Ranch instituted a new pace of play initiative that General Manager Erik Johnson says not only has proven effective but has been supported strongly by regular patrons of the course. The process of encouraging proper pace begins with simple awareness of the target time of 4 hours, 30 minutes, or less, for a round. Johnson says players are made aware of this expectation at the time of reservation, check-in and again at the starter. And the 4:30 goal actually begins after 9 a.m. Before that, it’s faster. Pace is monitored at the fourth hole, where a players’ assistant times the groups and then assists any group that has fallen behind. “We have someone go with that group until they’re back in position,” Johnson says. “If that means shooting yardages, raking bunkers, pulling the flagstick, we do it. If it takes several holes, then that’s what it takes. Overall, Johnson says 90 percent of the course’s patrons play to pace. It’s the remaining 10 percent that the initiative targets. A hectic two-week holiday period, which saw increased play beyond the seasonal average due to summer-like temperatures, gave the new initiative a stern test, but Johnson says the new program produced impressive results. “We didn’t have a round go over 4:30,” he says proudly. In a hospitality industry, Johnson says pace can be as much a political issue as a playing issue, but the staff at Encinitas Ranch has found an approach that works on both fronts. “We wanted to do more than set an expectation. We wanted to be assertive about reinforcing that expectation,” he says. – Always carry a second ball. – Don’t figure your scores at the green; do it at the next tee box. – When sharing a cart, when possible, try to park between shots and have each player walk to his/her ball. – Don’t honor the honor system; play ready golf, especially on the tee box. Female players should tee off as soon as it’s safe and distance to the group ahead allows. – No search parties, meaning the entire group doesn’t need to pursue a lost ball. Let the player and one other look. while the rest locate their balls and prepare to play. You can also spend this time figuring yardages. – Play the proper tees. When you play farther back than you’re capable, your game suffers and so does pace. – If there’s doubt about a ball being lost, play a provisional to avoid having to go back to replay the shot. – Keep mulligans to a minimum. They’re not allowed by the rules, but we all know they occur. Be mindful of the groups behind you before hitting a second shot. There is a time and play for a practice round, but it’s not when two groups are stacked up behind you. – Curb your pre-shot routine if it includes excessive practice swings. The pros don’t need eight practice swings; you don’t either. – On cart path-only holes, take multiple clubs. – Start reading your putt as soon as you walk on the green. One of the best ways to read a putt is from the lowest part of the green. Start there and work toward your ball. To find a JC Golf course in your area and book a tee time or a lesson, go to jcgolf.com. This entry was tagged Encinitas Ranch, Erik Johnson, JC Golf, slow play, tips. Bookmark the permalink.